Mercer Mill was a main building block at Fair Winds Farm. Mercer Mill brought a family pedigree filled with the bloodlines of champions to Ohio and he proved himself to be one too – in the breeding shed. Kim and Lori Williams, through their partnership with Overbrook Farm, were able to bring him to their farm in Waynesville after his abbreviated racing career. According to Kim, the 28-year-old stallion died suddenly in his paddock September 28. “I had just checked on him after putting out two older broodmares that were barren, in a nearby pasture,” said Williams. “That didn’t stop him from putting on a little show with some prancing along the fence line. When I came back a little later, he had passed in his paddock. 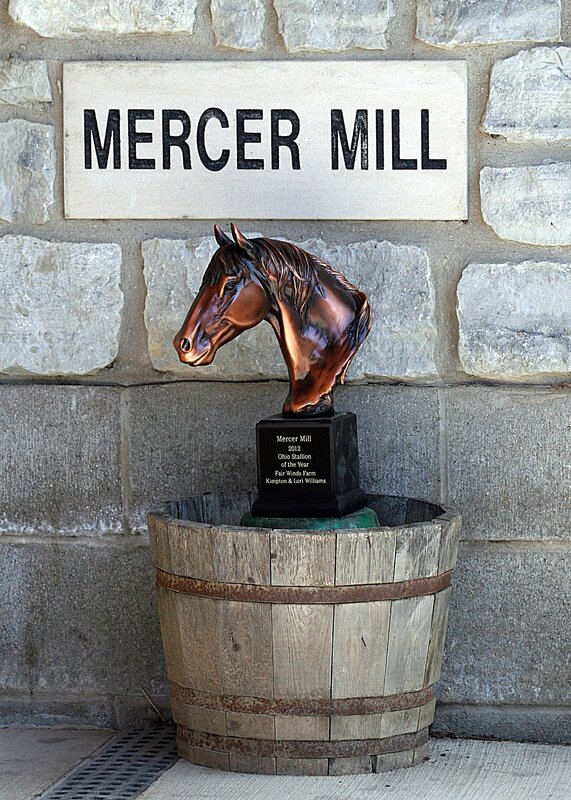 We buried him next to Honey Jay here at the farm.” Mercer Mill, a son of champion Forty Niner, was the leading sire in Ohio 2001-2001; 2004; 2007 – 2012. 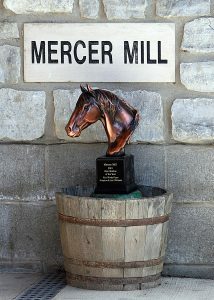 Mercer Mill’s dam, Seaside Attraction by Seattle Slew, won the 1990 Kentucky Oaks over Go for Wand. She also produced the champion 2-year-old filly Golden Attraction ($911,508); Grade 1 winner Cape Town ($795,817); Grade 3 winner Cape Canaveral ($128,640) and Grade 3 winner Red Carnival who produced three British-bred graded and/or Group winners. Mercer Mill’s second dam, Kamar, was a champion 3-year-old filly in Canada who produced Canadian champion Key to the Moon.